The Coast Guard and commercial salvage crews responded to a report of a downed Cessna aircraft approx. 13 miles east of Bay Harbor Island. The Coast Guard said it rescued a person and was searching for another after responding to a report of a downed plane about 13 miles east of Miami-Dade County Friday afternoon. The aircraft was initially described as a Cessna. But the Coast Guard later corrected that to a Conquest Air 504. The airplane was traveling from Nassau, Bahamas to Opa-locka, according to the Coast Guard. 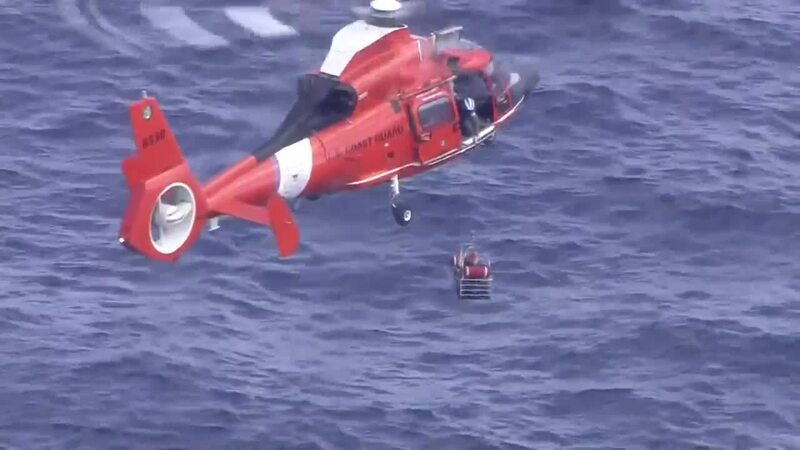 Aerial footage showed a Coast Guard helicopter hoisting a person from the water. The crew took the person to awaiting medical services at Air Station Miami for further treatment. Miami-Dade Fire Rescue, Miami-Dade police and commercial salvage crews also responded, the Coast Guard said. #Update #Happeningnow , correction to the initial report of the downed aircraft, the type of aircraft is a Conquest Air 504 that was reported down approx 13 miles east of Bay Harbor Island FL. 1 person hoisted from wreckage, search continues for reportedly 1 person missing.